It’s time to announce Playtime New York here on Babyology; ah, the city with such a special place in my heart because it’s one I have visited since having children and I have seen it through a parent’s eyes. This fabulous trade show which we featured last August is on again from 5 to 7 March 2011. Babyology is incredibly delighted to be sponsoring this up-to-the-minute trade event and will be bringing you the very latest and greatest coverage from across the other side of the globe. The best and newest labels, the most innovative gear will all be revealed at Playtime New York. 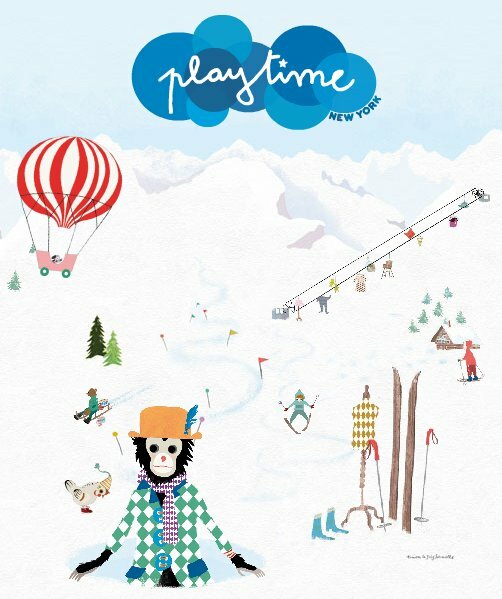 If waiting patiently isn’t your thing, perhaps sate yourself with our past coverage of Playtime Paris, Playtime Tokyo and Playtime New York – simply use the search field above. The shows are held twice a year so much of our past editorial is still pretty current! We are thrilled to be a part of such a quality event.